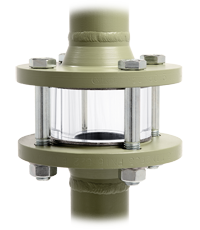 The special merits of the flow sight glass is its solidity and high functionality. A glass ring with 25-, 30- or 50 mm (or longer) pipe-view length with very high wall thickness is fitted between two flanges. The wall thickness is equivalent to the raise face of the flange so that no metal casing is required. This allows an excellent observation of the flow from all sides. Dirt accumulation of the flow sight glass is significantly lower as the medium touched surface is constantly rinsed by the medium itself. 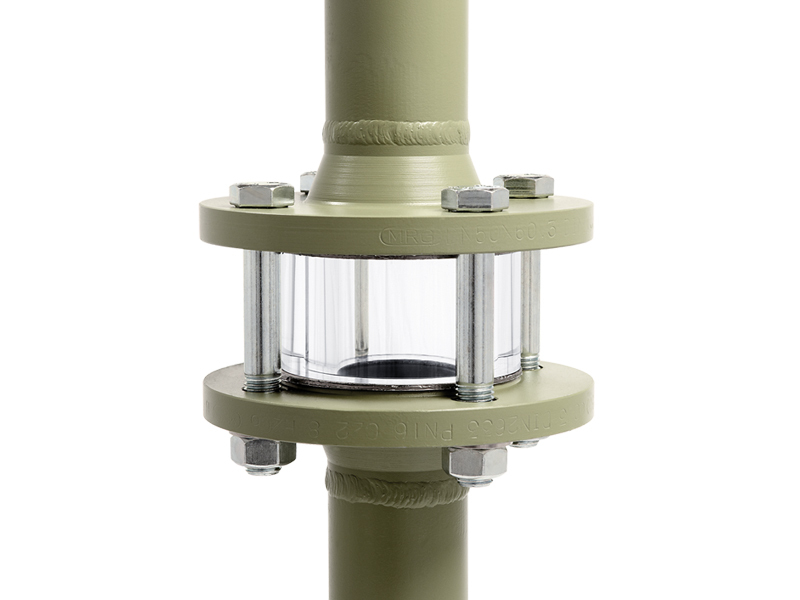 The flow sight glass has no dead spots, so that the flow sight glass can be flushed/ cleaned together with the tube in case the medium will be changed. No deposits in the sight glass when the piping will be empty. The inner diameter of the sight glass is according to the inner diameter of the pipe. Therefore the sight glasses are especially applicable for aseptic conditions. The flange serves as an additional protective shield. In case of bigger sizes or stainless steel design, there is a favourable price/ efficiency ratio because only the glass ring is required and no metal casing with flanges.